In the budget plenary session of October, the complete European Parliament voted on Bas Eickhout’s amendment 232 aiming to exclude so called “lidia bulls” from the CAP subventions. 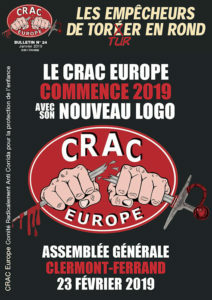 The French antibullfighting organisation CRAC Europe supported this amendment since its adoption by the Environment Committee on September 4th 2014 – and its following rejection by the Budget Committee on September 29th – up until the vote that took place on October 22nd. A CRAC Europe delegation was in Strasburg that day to support Bas Eickhout. The amendment was rejected but the manner in which it was rejected – wherein a majority of MEPs actually supported it – marks a turning point in the fight against bullfighting at the European level. Bas Eickhout had asked for a roll call vote (instead of a vote by show of hands) in order for us to “know exactly who supports these subsidies and who does not.” Thus we obtained a data base which enabled us to analyse the voting results by country and by European political group and national political party. We present you hereafter our analysis and conclusions. After the analysis, you will find our data base organised by political group and by country. The vote that took place in Strasburg on the 22nd of October marks a historic turning point : never before have there been more supporting Members of the European Parliament than there have been opponents. 332 voices for, 61 abstentions, 298 against. 60 MEPs were absent or did not vote. 376 voices in favour of the amendment were needed to obtain a qualified majority. The amendment will be adopted next year if 44 more MEPs vote for it, which is only 6 % of the MEPs or a little more than a third of those who abstained, were absent or didn’t vote. Who could these 44 MEPs be ? Which country, which political group could they come from ? We will try to answer these questions. In that purpose, we will first analyse the results by political group and by country. The amendment aiming to end subsidies on breeding bulls for bullfighting was tabled by Bas Eickhout and the Greens/EFA. This political group accounts with 50 MEPs for only 6.7 % of the European Parliament seats. The majority political groups EPP and S&D, representing with 411 seats (220 and 191 respectively) 55 % of the European Parliament, had given instructions to reject the amendment. Could Bas Eickhout, like David against Goliath, possibly win ? Logically, no : if all MEPs had voted and followed voting instructions, the amendment should have been rejected by 55 % of the European Parliament. But this is not what happened. Only 40 % of the MEPs voted against. One explanation is that the voting instructions have not always been followed. An average of 77 % MEPs across all political groups were loyal ; that is, about 3 out of 4 MEPs voted in compliance with voting instructions. When applying this average percentage to the proportion of EPP and S&D seats (55 %), we obtain a theoretical result of 42 % voices against, very close to the 40 % actually recorded. In fact, loyalty has not been equally high among the political groups supporting and opposing the amendment. Only 2/3 of the members of the opposing groups followed the voting instructions, which is 275 of the 411 EPP and S&D MEPs (67 %). The S&D MEPs distanced themselves more : only 58 % voted against, with thanks in particular to the 20 British S&D MEPs of the Labour Party who all voted without exception for the amendment. But even the EPP MEPs were less loyal than the average of 77 %, with exactly 3 out of 4 MEPs following the voting instructions (75 %). The Greens/EFA group has surrounded itself with strong partners. It holds only 6.7 % seats but the alliance it formed with the political groups ALDE, ECR, EFDD and GUE/NGL with 288 seats accounts for more than a third of the European Parliament, or 38 %. The loyalty of the amendment supporters being higher than that of the opponents, an average of 80 % of these alliance members followed the voting instructions. The Greens/EFA have logically been the most cohesive group with 94 % favourable votes, followed by the EFDD with 90 % favourable votes – in particular the British party UKIP and the Italian Five Star Movement – and the ECR (79 %) and GUE/NGL (77 %). The most disappointing result comes from the ALDE : only 64 % followed the voting instructions. The main reason is not that they voted against – only 5 MEPs voted against or 7 % – but that 10 MEPs, or 15 %, chose to abstain. These voters are from 8 different countries : the three bullfighting countries, Germany, Austria, Luxembourg, the Netherlands and the Czech Republic. While 11 % of EPP MEPs and 32 % of S&D MEPs voted for the amendment, against their political group, not one Greens/EFA, GUE/NGL and EFDD MEP voted against the amendment. This cohesion suggests that these MEPs did not simply follow a voting instruction. No, they voted out of conviction. In the opposing camp, the only MEPs who can be considered as firm in their position are the “aficionados”. But they do not form the majority of the EPP and S&D groups. Even if one assumes that the EPP and S&D MEPs of bullfighting countries are committed aficionados – which is certainly not the case – they represent only 19 % of these political groups with 79 MEPs out of 411 (33 for France, 31 for Spain and 15 for Portugal). Furthermore, some parties within the political group S&D have a completely opposite conviction, in particular the British and Dutch Labour Parties whose representatives all voted for an end of subsidies. Every single Belgian and Swedish S&D MEP who took part in the vote also supported the amendment on the 22nd of October. With the energy of conviction being more powerful than the inertia of indifference or neutrality, it is likely that uninformed EPP and S&D MEPs, who solely want to follow their political group’s voting instruction, may be persuaded to support the amendment next year. The gap with the other countries is important as Romania – 7th country – is represented by 32 MEPs. The other 21 countries all have less than 30 MEPs. With 0 opposing MEP and about 90 % favourable MEPs, more than a quarter of all votes were given to the amendment by British and Dutch MEPs alone. The UK did best with 65 MEPs supporting the end of the indirect funding of bullfighting (see table C – Countries ranked in descending order of their number of favourable MEPs). This country, which passed the first animal protection law in Europe, is home to very active organisations like the League Against Cruel Sports, the Humane Society International UK and PETA UK. The Scottish MEP Alyn Smith has tabled a similar amendment in 2013, communicated considerably on the subject and organized a petition. As for the British press, it set for itself the task to inform the public that approximately 13.5 million pounds are being spent every year by the UK, thanks to taxpayers’ money. The Netherlands, Bas Eickhout’s home country, is also home to the antibullfighting organisation CAS International and Marianne Thieme’s Party for the Animals. In July 2013, the Dutch Parliament unanimously adopted a motion initiated by the Party for the Animals, asking the Dutch government to work for the end of CAP bullfighting subsidies within the European Union. Thus, no Dutch MEP voted against and 24 out of 26 MEPs voted for the amendment. We can assume that the UK and the Netherlands will again be the two strong pillars for the amendment that will most probably be filed again in 2015. The amendment has been largely supported by Belgium, Denmark, Finland and Sweden. A turnabout from these countries is unlikely as only one MEP voted against among 21 Belgian, 20 Swedish and 13 Danish MEPs and two among 13 Finnish MEPs. The only country in Central Europe having more than 50 % favourable MEPs (52 %), the Czech Republic gave 11 voices to the amendment. As expected, the five MEPs who voted against are 4 EPPs and 1 S&D. Among the four abstainers, there was 1 ALDE, 1 S&D et 2 ECRs who may allow themselves to be convinced and vote yes next time. Austria and Ireland have in common with the UK and the Netherlands the fact that not one single MEP voted against the amendment (see table D – Countries ranked in descending order of their number of abstaining MEPs). However, Austria and Ireland cannot be considered as supporters of the amendment as only 3 out of 18 and 4 out of 11 MEPs respectively voted for it. Austria has the highest percentage of abstainers : 83 % MEPs abstained or 15 out of 18 MEPs. Among these 15 abstainers, 10 are members of the political groups EPP or S&D. They did not want to follow the voting instruction while refusing to go as far as voting yes. Two MEPs (1 EPP and 1 S&D) corrected their vote afterwards : they had voted against and eventually chose to abstain like the majority of their colleagues. It is the Northern country with the highest number of abstainers, in value and in percentage : 4 out of 11 MEPs abstained. These 4 MEPs are EPP members who have not followed the voting instruction of their political group. It is really a shame they have not chosen to rebel 100 % by voting for the amendment like their compatriot, the S&D MEP Nessa Childers. With 36 favourable MEPs, Italy is 2nd after the United Kingdom in terms of favourable votes. In percentage terms, Italy ranks 8th with 49 % of the 73 Italian MEPs voting for the amendment. With 29 unfavourable MEPs, this country ranks 4th after Germany, France and Poland in terms of positive votes. In terms of percentage, it ranks 15th. Italy’s percentage of MEPs rejecting the amendment is in line with the UE average of 40 %. 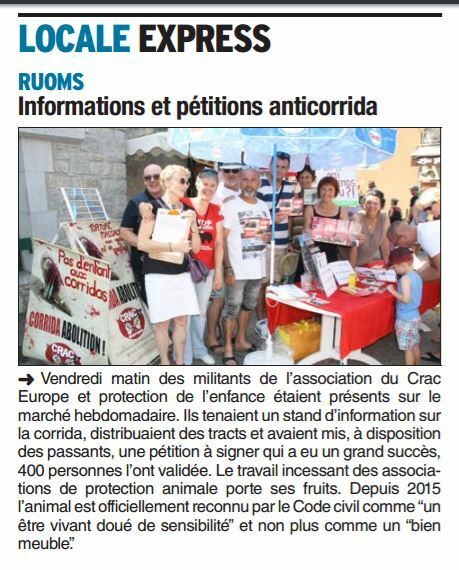 These promising results can be attributed in part to the extraordinary work done by the Italian animal rights organisations, especially our partner Animalisti Italiani. 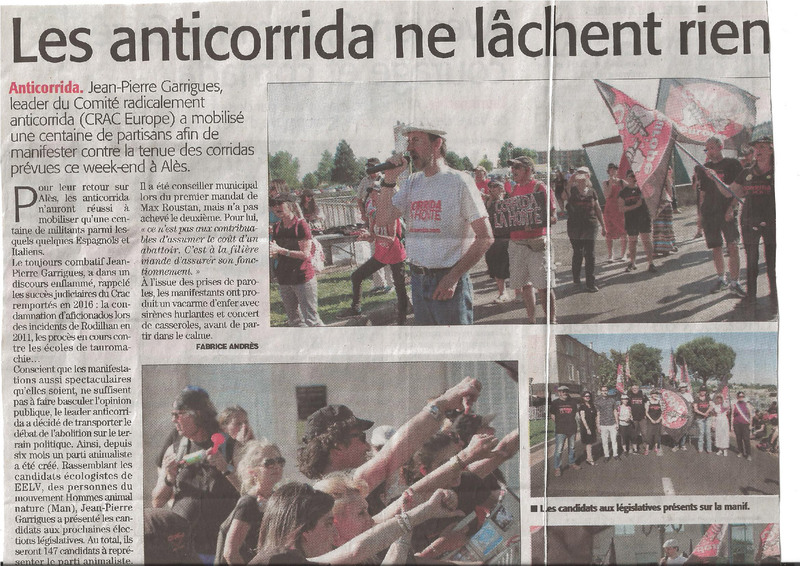 Walter Caporale and his team launched a campaign early last year against the European subventions and handed out – notably during the anti-bullfighting demonstration in Alès on the 31st of May 2014 – leaflets in four languages warning about European funds supporting the bullfighting industry. Bas Eickhout has also received broad support from the Five Star Movement, whose 17 MEPs voted for the amendment. Animalisti Italiani and the Five Star Movement will certainly not stand still in 2015. We trust that Italy will exceed the threshold of 50 % favourable voices next year. With the animal rights party PACMA, very active with the European Parliament to abolish all bullfighting activities from the corrida to the Toro de la Vega, the PODEMOS party, leading in the polls, that has included the abolition of bullfighting in its programme, a growing number of cities declaring themselves as anti-bullfighting cities, a majority of Spaniards against bullfighting and a drop in the number of shows, we are beginning to believe that Spain may be capable of abolishing bullfighting before France does. That would take the biscuit but the odds of this happening seem not at all impossible anymore. 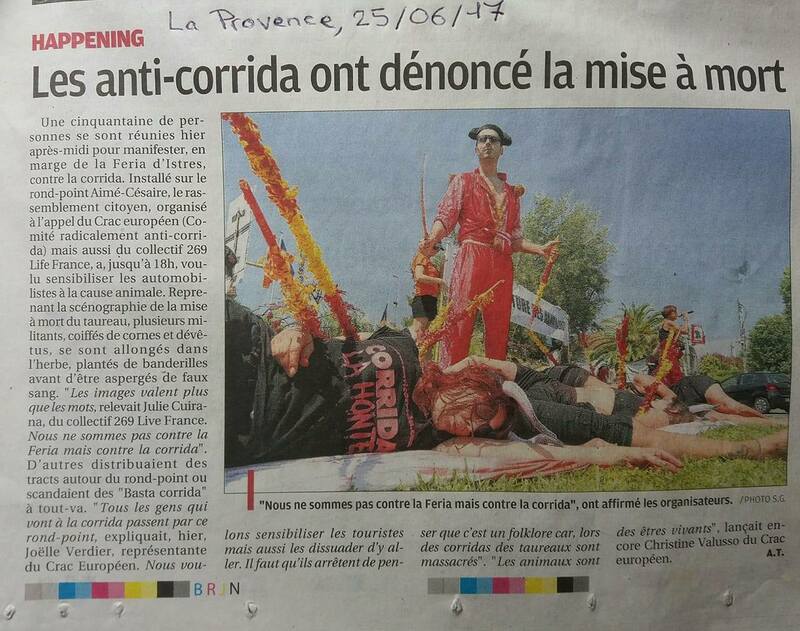 With several very active anti-bullfighting organisations, many draft bills filed to delete paragraph 7 of article 521-1 which excludes bullfighting from cruelty to animals in the French Penal Code, a majority of the French wishing a complete ban on this practice, a new legal status of the animal recently adopted by the French National Assembly and a Green party catching up on the other European Green parties by finally including animals in its conception of nature and environment, France would have already abolished bullfighting a long time ago if a huge gap did not exist between the French people and their government. At the European level, France ties 5th with Spain after the UK, Italy, Germany and the Netherlands in the number of favourable voices. In percentage terms, France performs less well than Spain (27 % vs. 37 %). To obtain the same percentage, 7 more favourable MEPs would be needed who could be found among the 9 abstainers, the 4 absents/non voters or the 5 rebels (2 GUE/NGL and 3 ALDE) who voted against or abstained. Or, would an EPP or S&D MEP dare to vote for the amendment in 2015 ? A Spanish EPP MEP dared. His name is Francesc Gambús. Admittedly, he is Catalan, but nonetheless it took courage to endure isolation within a political group. Two S&D MEPs also went against their political group by abstaining, Javi López, member of the Socialists’ Party of Catalonia and Elena Valenciano Martínez-Orozco, member of the Spanish Socialist Workers’ Party PSOE. In Portugal as well, two rebel S&D MEPs, Ana Lopez and Liliana Rodrigues, voted for the amendment. The EPP MEP Nuno Melo did not vote quite as well but he at least went as far as abstaining – which no French EPP MEP has done so far. Will France rise to the level of Spain in 2015 ? 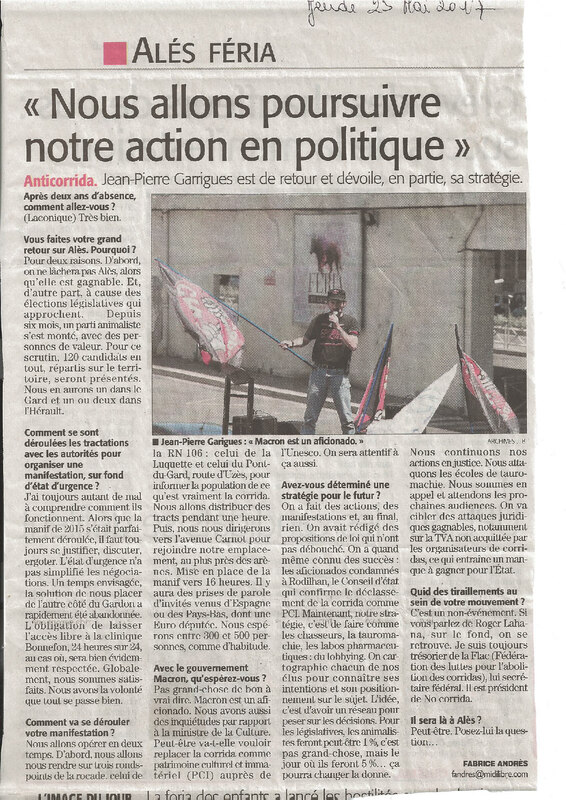 Will French MEPs have the same political courage as their six counterparts from the Iberian Peninsula, who, though they are not many yet, are certainly paving the way ? With 54 MEPs opposing the amendment, Germany occupies the less than glorious 1st place in number of votes against, preceding France which ranks 2nd. In percentage terms, Germany ranks 7th after Romania (81 %), Hungary (62 %) and Poland (61 %), to mention only the largest Member States. With a similar percentage (55 and 56 % respectively), both France and Germany do less well than Spain and Portugal : only 48 % Spanish and Portuguese MEPs voted against the amendment (see table E – Countries ranked in descending order of their number of opposing MEPs). Having the largest population, our neighbour has the highest number of representatives in the European Parliament (96 MEPs). The majority of them are members of the EPP and S&D political groups and they almost all followed the voting instructions. Out of a total of 34 EPP MEPs, 29 rejected the amendment. Only 2 MEPs went against the voting instruction : Dieter-Lebrecht Koch (CDU) preferred to abstain and Ingeborg Grässle (CDU), more daringly corrected her vote later from ‘against’ to ‘for’. Of the 27 S&D MEPs, one notable exception : Jo Leinen (SPD). Known in Germany for having been a spokesman of the Anti-nuclear movement and the Peace movement in the 80s, he is the only MEP in his political group who has voted for the amendment. What are the reasons given by the two major German parties (CDU/CSU and SPD) for voting against the amendment ? “Mr. President, Ladies and Gentlemen ! The Greens, especially in Germany, have lately conducted an impressive and mainly internet-based campaign against the European subsidies for bullfighting. The German Social Democrats support this : With all due respect for cultural life in Spain, but the citizens do not want their tax money to be used this way. The Greens however have given the false impression that we decided on this today – that is incorrect ! The Greens’ proposal to add a restrictive sentence to the remarks on the single payment budget line cannot “stop European subsidies on bullfighting” as the Greens are demanding on the Internet. 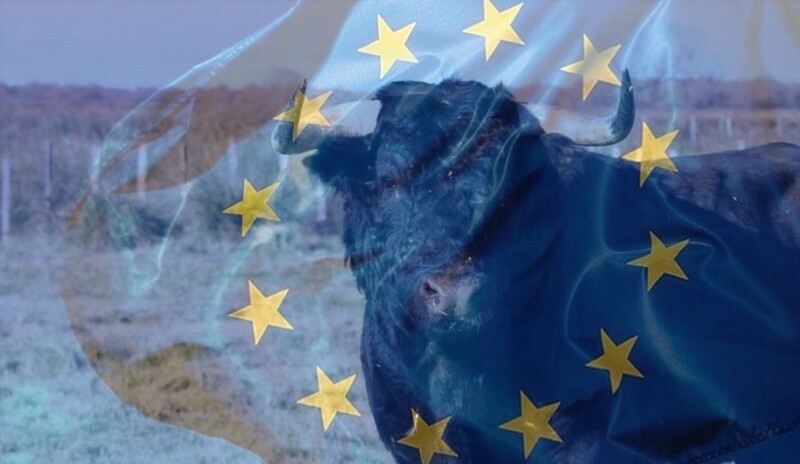 For no administration in the world can control whether a bull who is grazing today somewhere in the European Union will tomorrow be transported to a bullring or not. Is this a genuine lack of knowledge of the subject ? Regarding the political groups supporting the amendment, all 8 ECR, 6 out of the 8 GUE/NGL – including Stefan Eck, president of the animalist party Partei Mensch Umwelt Tierschutz – and 12 of the 13 Greens/EFA gave their voice. The 13th, Sven Giegold, who had officially supported Bas Eickhout’s petition and amendment, is the only one to have not given his voice because he was on sick leave. It is not possible in this case to vote afterwards. Thus, 54 MEPs voted against, 3 abstained and 9 were either absent or did not vote. This represents a potential of 66 MEPs for Germany alone. To achieve our goal, we need to convince 2/3 of these 66 MEPs. In the “top 7”, we have – in addition to Germany, France, Italy and Spain – 3 Central European countries : Poland, Romania and Hungary which have given altogether 70 additional voices to the amendment’s opponents (31, 26 and 13 respectively). Romania has as many opposing MEPs as Spain although it has 22 MEPs less ! Slovenia and Slovakia weigh less in number of MEPs but they also have a high percentage of negative votes (69 % and 75 % respectively). The reason for these disappointing results seems to lie in the fact that the opposing political groups EPP and S&D have a majority and the supporting groups are hardly represented or totally absent. For instance, there are no Greens/EFA, ECR, EFDD and GUE/NGL MEPs in Romania, no Greens/EFA, ALDE and GUE/NGL in Poland and no ALDE, ECR, EFDD and GUE/NGL in Hungary. On a more positive note, it should be underlined that some EPP and S&D MEPs rebelled. In Hungary, the EPP MEP Kinga Gál abstained and the S&D MEPs Tibor Szanyi and István Ujhelyi voted for the amendment. In Poland, the EPP MEP Róza Gräfin von Thun und Hohenstein had the courage to stand alone. Of 23 EPP MEPs and 5 S&D MEPs, she is the only member of an opposing political group who has voted for the amendment. Finally, it should be noted that the other three countries with more than 50 % negative votes are Greece, Croatia and Malta (52 %, 55 % and 83 % respectively). Malta ranks first in terms of percentage of negative votes with 83 % MEPs rejecting the amendment. All of its MEPs are either EPP or S&D and 5 out of 6 voted against. By way of comparison, Cyprus has only two negative voices while it has the same number of MEPs. However, unlike Malta, two of them are members of the political group GUE/NGL. This shows again how decisive the political group affiliation and the voting instructions have been. MEPs from Greece and Croatia have also largely followed the voting instructions. Interestingly, none of the 13 corrections to votes has been made in an unfavourable direction. ‘Against’ votes were corrected to ‘for’ or ‘abstain’, and ‘abstain’ votes to ‘for’. Not one MEP has decided afterwards to vote against the amendment. In blue : Political group whose MEPs account for at least 25 % of the European Parliament. In green : Political group with more than 40 favourable MEPs and/or more than 50 % favourable MEPs. In green : Political group with more than 50 % favourable MEPs. In pink : Political group with at least 10 abstaining MEPs and/or more than 10 % abstaining MEPs. In green : Political group with the fewest abstaining MEPs in number and percentage. In pink : Political group with more than 10 % abstaining MEPs. In green : Political group with the fewest abstaining MEPs. In red : Political group with more than 100 opposing MEPs and 50 % opposing MEPs. In green : Political group with no opposing MEP. In red : Political group with more than 50 % opposing MEPs. In yellow : Political group with more than 10 non voting MEPs or more than 10 % non voting MEPs. In green : Political group with the fewest non voting MEPs. In yellow : Political group with more than 10 % non voting MEPs. Country whose MEPs account for at least 10 % of the European Parliament. In green : Country with more than 20 favourable MEPs and/or more than 50 % favourable MEPs. In light green : Country with more than 20 favourable MEPs and less than 50 % favourable MEPs. In pink : Country with more than 10 abstaining MEPs and more than 50 % abstaining MEPs. In red : Country with more than 35 % abstaining MEPs. In red : Country with at least 10 opposing MEPs and more than 50 % opposing MEPs. In pink : Country with at least 10 opposing MEPs and less than 50 % opposing MEPs. In orange : Country with fewer than 10 opposing MEPs and more than 50 % opposing MEPs. In green : Country with no opposing MEP. In green : Country whose MEPs all voted.